”Little Town Blues”, the title track of Mark’s new release is a loose, slide guitar-driven (from album co-producer, Brendan Gallagher), Stonesy take on a dysfunctional relationship set against a backdrop of urban decay. Keyes sings about growing up in the Sydney neighbourhoods of Redfern and Waterloo, of embracing the working class culture that dominated the inner-city in those long-lost days, and of family. Albury-born and Gippsland-reared, Bill Jackson is one of Australia’s finest songwriters within the country folk rock genre. ‘The Wayside Ballads Vol 1’ is Bill’s fifth solo album. I guess everybody wants to be somebody’s darlin’ – we live in insecure times and more than ever people are lost in a search for self worth, where self image is challenged at every turn – ‘ lookin’ at that misty rainbow wonderin’ where it hides it’s soul’. The 12 striking songs which make up this new record blend blues, folk, country and soul with elements not so easily defined, moving Cold Moon well beyond standard singer/songwriter fare. A stark, picked banjo and the eerie hum of harmonium are driven by the stunning slide guitar of Hank Green and an even thump of Double Bass. The air of restlessness and isolation is further echoed in the lyrics. Australian Chanteuse De’May lends sublime backing vocals to the track. This song is about realisation; it involved something ending which was incredibly special therefore there is a sadness attached. Of course with an ending comes a new beginning, but it's hard to completely move forward in that instance. Musically, it is potentially the loudest song on the album. A lonesome-voiced singer and award-winning radio broadcaster in her hometown Sydney, a move away from Australia to Nashville, Tennessee inspired Emma to write and record her solo debut. Short and sweet and oh-so-sad, where there’s hope there’s despair, where there’s love there’s the lack of it. Vintage transistor radios, mariachi static, classic Nashville. Wilding is the solo project of Melbourne songwriter Justin Wilding Stokes whose music is a melodic blast of whimsical beat-pop 'n' bedroom-psych. ‘Missing Her’ is an infectious toe-tapping pop gem with a harmonious dollop of giddy vocals, a punchy horn section and a swinging rhythm. Sydney songwriter Perry Keyes has had this song covered by Missy Higgins’ on her new album 'OZ'. NYE (New Year's Eve) is from his debut release 'Meter'. I watch 'em walk on by. 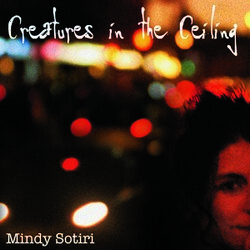 With four solo albums over the last twelve years, hundreds of shows and festivals, Mindy has developed a reputation for being very, very good at making drunk, tired women cry. In 2012 I attended a memorial service at Redfern town hall for a woman I had worked with for many years. The room was filled with disability activists remembering this incredible woman who had spent her childhood in institutions, and then her whole adult life trying to shut them down. A potent blend of folk and alternative country, politically charged anthems and poignant, heartfelt ballads, Handasyd's voice is an instrument itself: Unique, empassioned with a lilt that literally bleeds words. HW & the BP’s most ambitious take on the contemporary alt-country sound. "Joe Fallacy" blurs the line between a country/folk song and a progressive punk rock anthem. Working class frustration painfully audible in the vocal delivery. The perfect “lies and deceit” anthem to rock out to! Formed in 2012 their debut album gives a nod to a few things mainly orbiting close to, or South of, the border: Mexican mariachi, alt country, folk, snippets of flamenco. Another song with three part harmonies that will kill you, and French horn seemingly mourning or longing for something more simple in life. This is a lovers song set in famed Sydney bar the Hollywood Hotel, and maybe something that Paul Kelly should be singing. This song was a late edition to the album and my favourite to perform live. When it was recorded we kept the accompaniment raw and stripped back, I had Nick Drake’s album Pink Moon in mind. It’s all about forgiveness and trying not to take too much to heart. The Laughing Outlaw CD release by Bryan Estepa are 'Vessels' and 'Heart Vs Mind' Compilation contribution is "Brilliant Disguise"
The Laughing Outlaw CD release by Edward Deers is 'About Monsters' Miss Little's is 'When Things Fall Apart and Into Place' Compilation contribution is "Paradise"
All sounds performed, produced, recorded and mixed by Edward Deer and Miss Little in Ed's home studio. 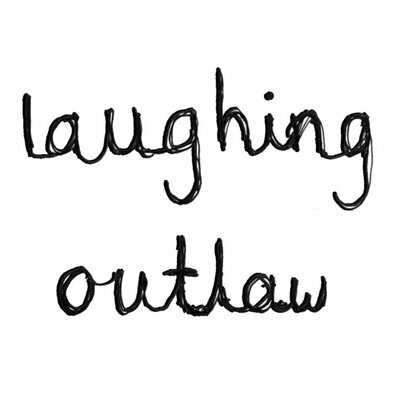 The Laughing Outlaw CD release by James Thomson is 'James Thomson' Compilation contribution is "Dry Lightning"
The Laughing Outlaw CD release by Mark Moldre is 'An Ear To The Earth' Compilation contribution is "Jesus Was An Oly Son"
The Laughing Outlaw CD release by Mikelangelo and the Tin Star is 'The Surf N' Western Sounds of...' Compilation contribution is "Secret Garden"
The Laughing Outlaw CD release by The Glorious is 'Sweetwater' Compilation contribution is "Long Time Comin'"
The sound of Jolan is a contemporary and modern one, drawing soundscape and production influences from the likes of U2, Coldplay, Snow Patrol, The Killers, Radiohead and even Sigur Ros. With a swag of releases behind him Mark has pooled the musical genres that have shaped and inspired him to make a diverse, eclectic album that is filled with contrasts. Written after a late night session reading up on the life story of Hermann Hesse. I’ve always loved his book “Wandering” and I knew that eventually it would inspire a song.